Today’s guest post comes from Dr. Piper Klemm, publisher of The Plaid Horse. Piper is traveling the northern land of Alberta, Canada for the Calgary Stampede. 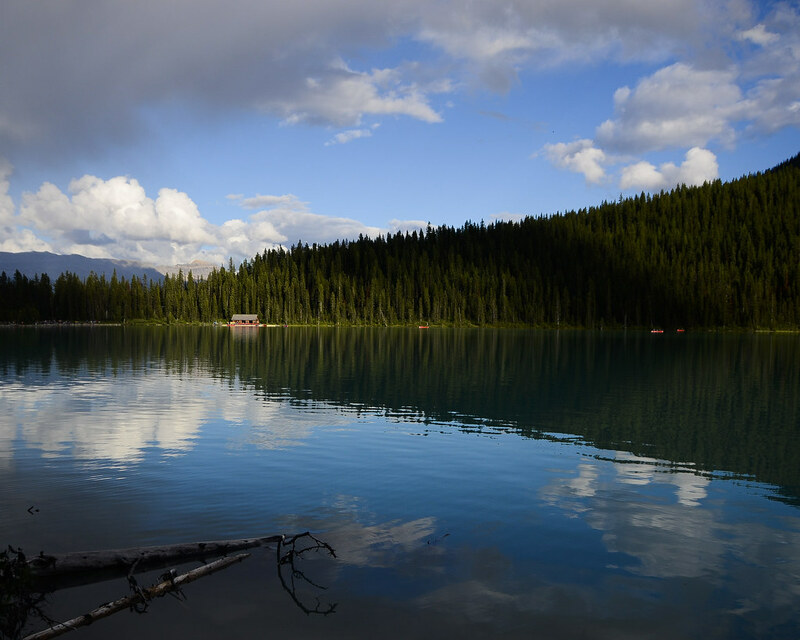 She stopped by Lake Louise, near the border with British Columbia, and home to some incredible views (more to come). This particular moment, with sunlight peaking through the clouds to illuminate a lakeside cabin and the canoes on the right of the image, was too perfect to resist posting. 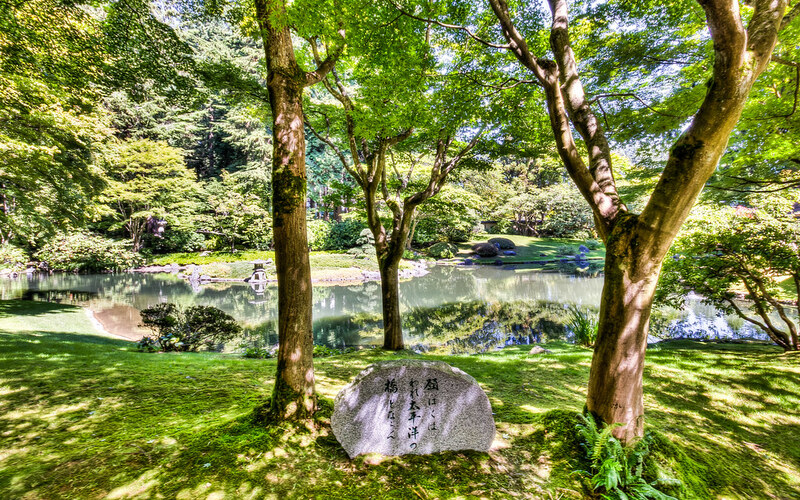 The tranquil Nitobe Memorial Garden at the University of British Columbia is a very peaceful place to wander and ponder. The Chan Centre for the Performing Arts on the University of British Columbia looks like a building out of someone’s vision for the future. In fact, it’s been used as the backdrop for buildings in the future in many sci-fi TV shows! Continuing with my botanical theme lately, here’s another of the oft featured Nitobe memorial garden at UBC, in the middle of the summer. 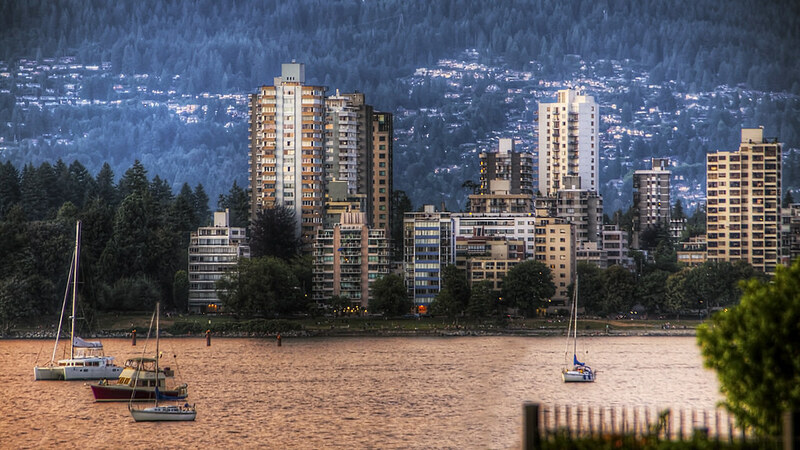 Vancouver can be a bit of an alien place at times. Gazing across the water, I don’t know that any image better represents the combination of dense urbanity, maritime connection, and epic nature than this one does. With the last warm hues of sunlight reflecting from the water and the windows, the blues of the forest (and night) beyond begin to dominate. 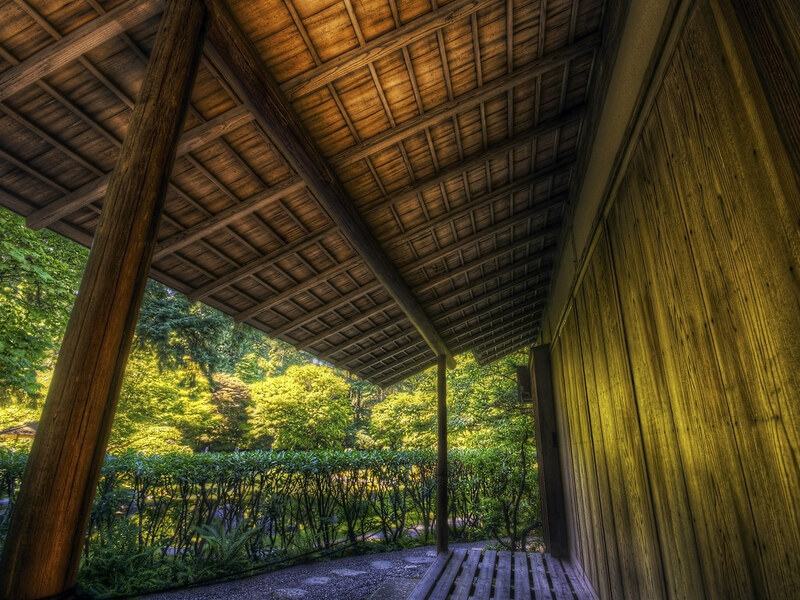 In the quiet of Nitobe Memorial Garden, I was struck by the craftsmanship of this teahouse. Even the roof had such gorgeous structure, with the wood lit by ambient light reflected from the water and the foliage.